At Schwinn, we believe in giving back to the community. We support local and national organizations that we believe can make a difference in people’s lives. The goal of peopleforbikes.org is to gather a million names of support, to speak with one powerful voice–to let policy makers, the media and the public know that bicycling is important and should be promoted. Go to peopleforbikes.org, sign the pledge today and let the world know that you're for bikes. Schwinn has been working with the local American Heart Association to give back to the Madison community, promote healthy hearts and prevent stroke since 2015. Read more about Schwinn’s collaboration with American Heart and the 2016 Schwinn and American Heart Association “Heart Hero” on our blog. Schwinn has been supporting the Wisconsin Fairshare CSA Coalition with sponsorship for their annual Bike the Barns event. The Fairshare CSA Coalition works with 50 small organic family farms and connects them with community members to increase accessibility to high quality food and support farmers. 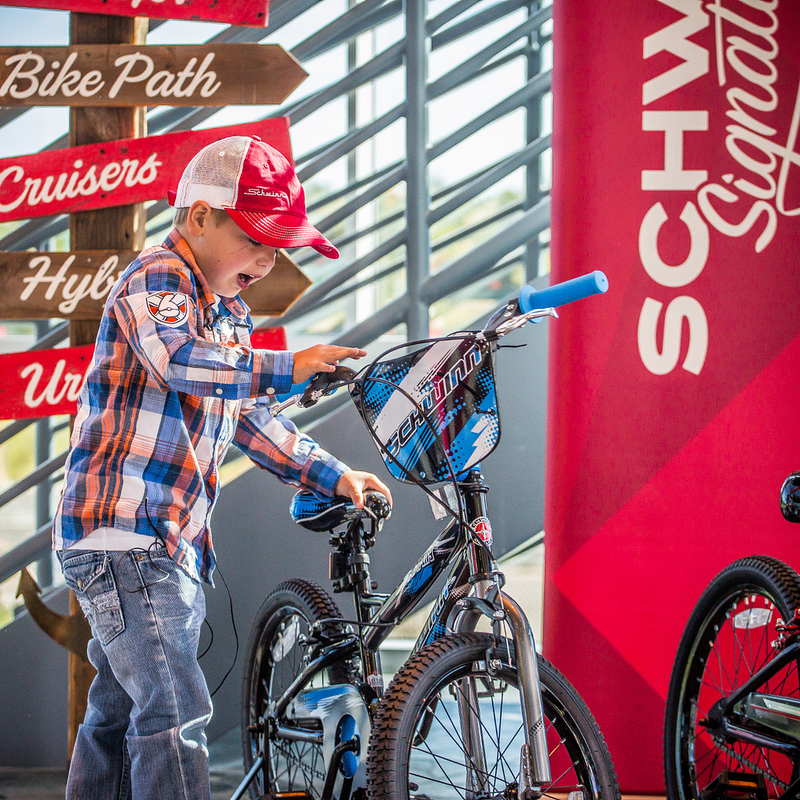 Schwinn has been supporting The Ride, a local Madison WI event, since 2016. Funds raised go to the University of Wisconsin Madison’s Carbone Cancer Center to fund researchers and their projects. The overarching mission of The Ride is to advance state of the art cancer research and treatment to serve cancer patients and families in Wisconsin and beyond. Schwinn has partnered with the Wisconsin Bike Fed to support local bike initiatives in our communities. The Wisconsin Bike Fed is the country's largest, statewide bicycle organization. Their mission is to work with people from all around Wisconsin to make bicycling convenient, safe, accessible and fun.